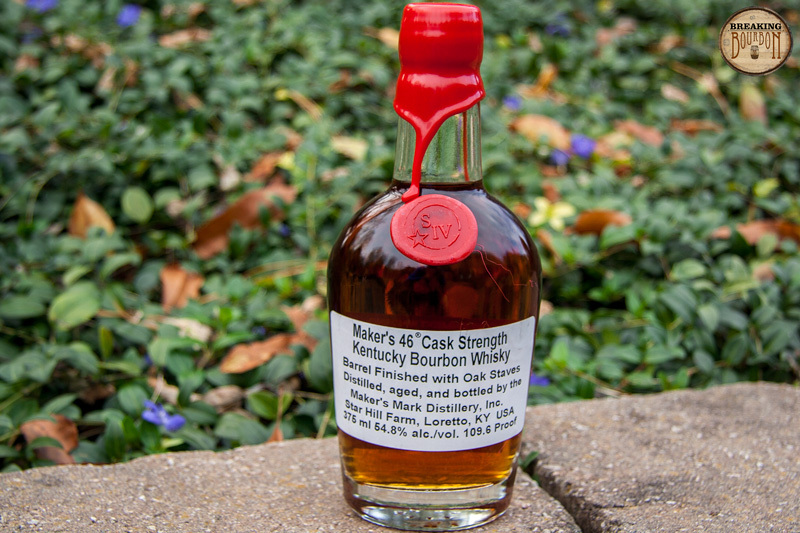 Maker’s 46 Cask Strength is the barrel proof version of the standard Maker’s 46. 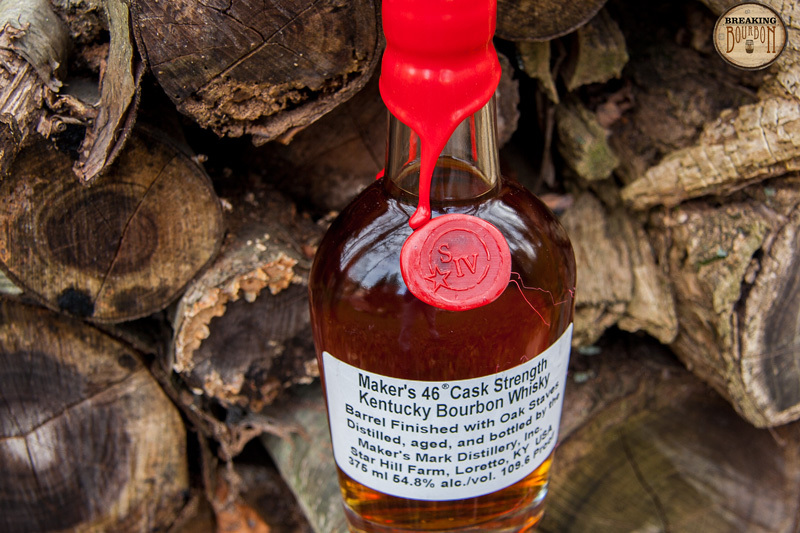 Maker’s 46 starts off as standard Maker’s Mark, which is a wheated bourbon made in batches of less than 1,000 gallons. Then heavily seared French oak staves are placed in just-emptied standard Maker's Mark barrels, which are then refilled and returned to the warehouses to finish aging for an undisclosed amount of time (estimated to be 2-3 additional months). The Maker’s 46 Cask Strength version comes in between 108-114 proof. The bottle being reviewed is proofed at 109.6. 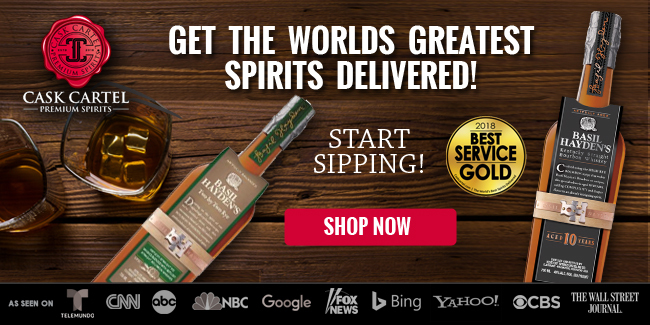 Currently, this is only sold in the Maker’s Mark distillery gift shop in 375 ml bottles. I expected a richer and deeper experience than the standard Maker’s 46, instead I’m greeted with something else. I assumed that the cask strength version would enhance all the scents, instead it seems to mute some, while pulling out others. The nose is comprised of rich oak, syrupy vanilla, raisins, banana bread, and an underlying scent of ethanol. A really nice combination that’s still very enjoyable. The palate presents a nice balance of flavors for its proof. Lots of butter, toffee, toasted sugar, and baked raisins in syrup are all noticeable, and are layered on top of an ever present base of oak. 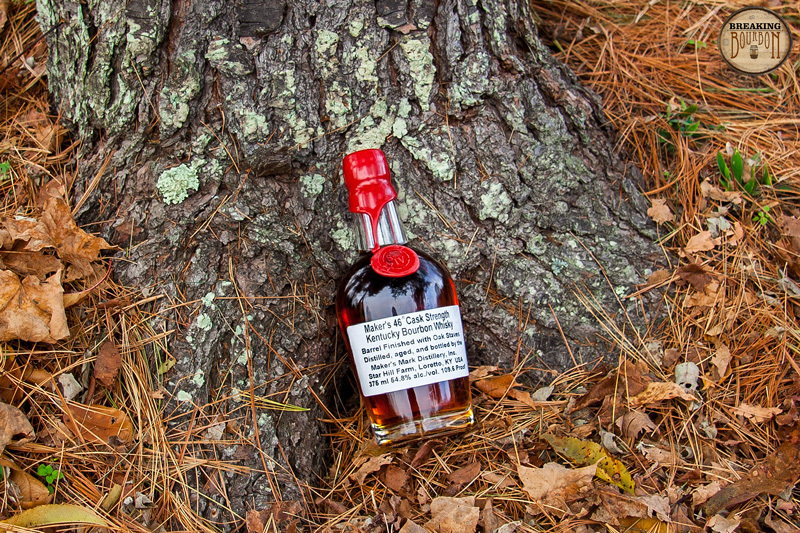 This palate is to standard Maker’s 46 as what standard Maker’s 46 is to standard Maker’s Mark; it’s sweet but not too sweet, and extremely rich and deep in flavor. 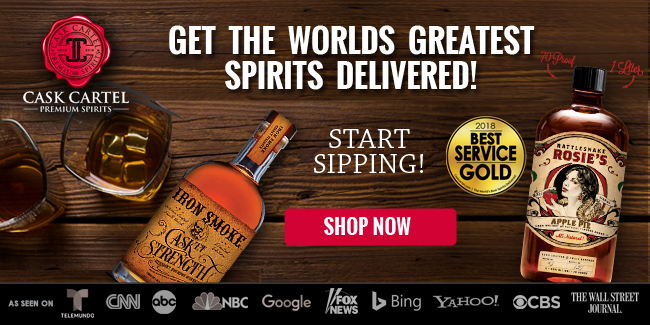 It drinks more like a sub-100 proof bourbon than one that’s almost 110 proof. It has an extremely great mouthfeel to it and is my favorite Maker’s palate to date. Rich wood, leather, tobacco, pecans, and vanilla all lead the way of this drier finish. It offers a more sophisticated finish than I experienced with the standard version of Maker’s 46. While it is slightly hotter, it’s only a moderate increase in heat compared with the standard version of Maker’s 46. This is kind of unexpected, as this comes in at almost 20 proof points higher. After an initial blast of flavors, it finishes long with dry and woody notes. Wheated bourbon lovers everywhere should tip their hats to the fact that Maker’s has now introduced two wheated barrel proof products to the market within the last two years. 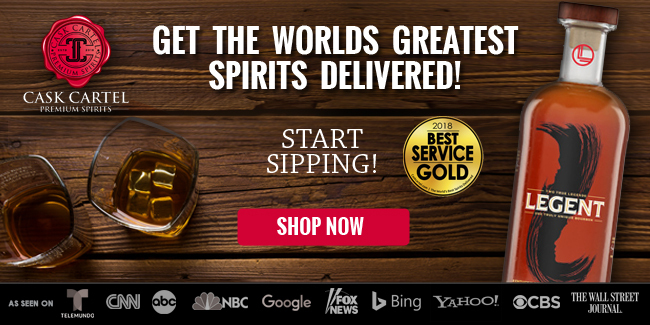 This is one category that is severely underpopulated, with William Larue Weller being the most well-known barrel proof wheated bourbon available to consumers prior to Maker’s Mark Cask Strength and Maker’s 46 Cask Strength. 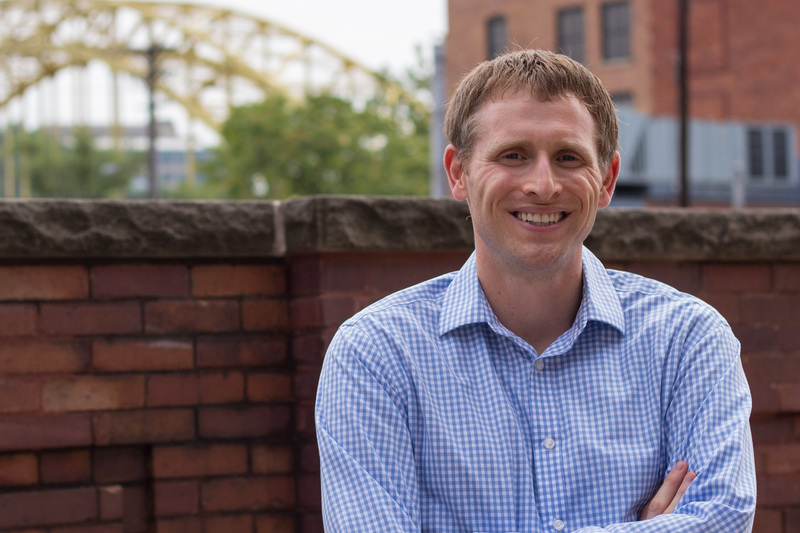 I wish more distilleries would follow suit, since this is one area that that is presently lacking in the bourbon marketplace. 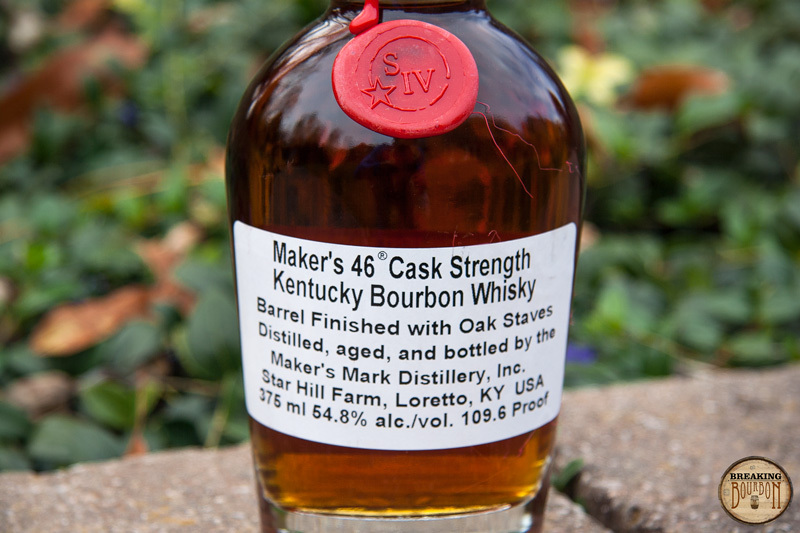 Maker’s 46 Cask Strength does a nice job of greatly enhancing the flavors that are present in the standard version of Maker’s 46. That being said, it may not be for everyone. 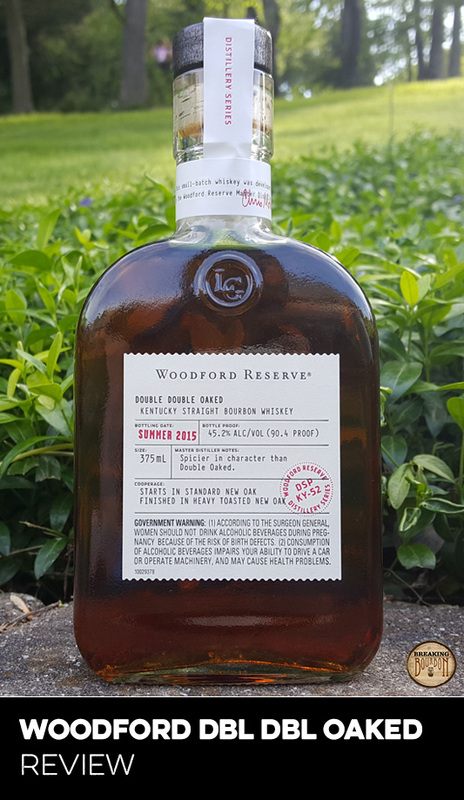 If you’re adverse to a woodier tasting bourbon you may want to shy away as the extra exposure to wood staves is really amplified in the cask strength version. 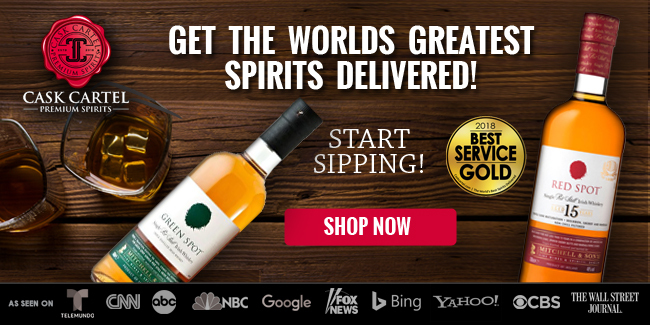 This results in a much richer, deeper drinking experience, and a flavor profile that is really quite unique. A recent trend a lot of distilleries are embracing, is releasing special gift shop only bottlings as 375 ml products. 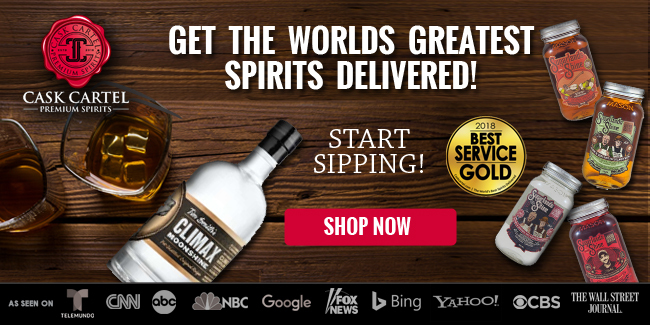 While this might seem like a good way to allow more individuals access to limited edition products, distilleries are also using it as an excuse to upcharge customers. 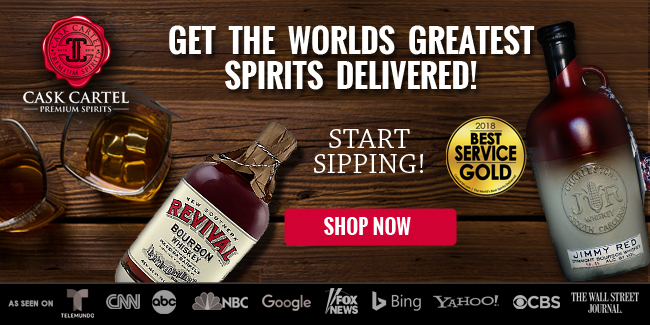 At $38 for a 375 ml bottle, you’re paying about the same price as a standard bottle of Maker’s 46 for half the amount of bourbon. While the flavor profile is definitely different than standard Maker’s 46, I wouldn’t necessarily say it’s worth the 100% upcharge for the price of admission. 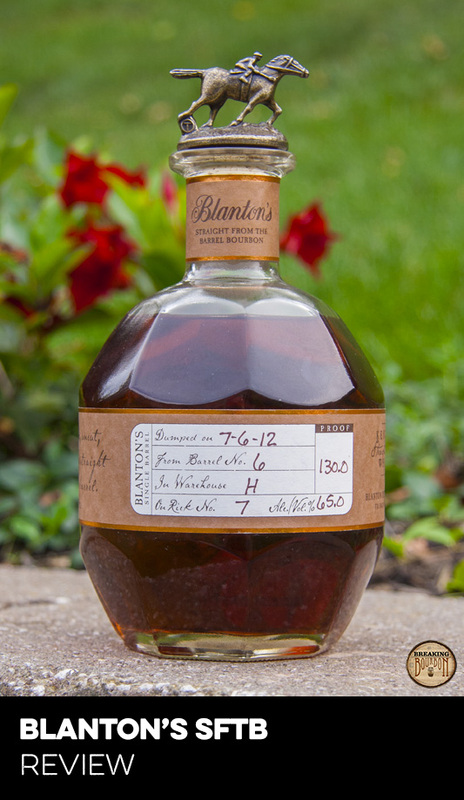 A richly enhanced version of the standard Maker’s 46 that drinks lower than its actual proof. 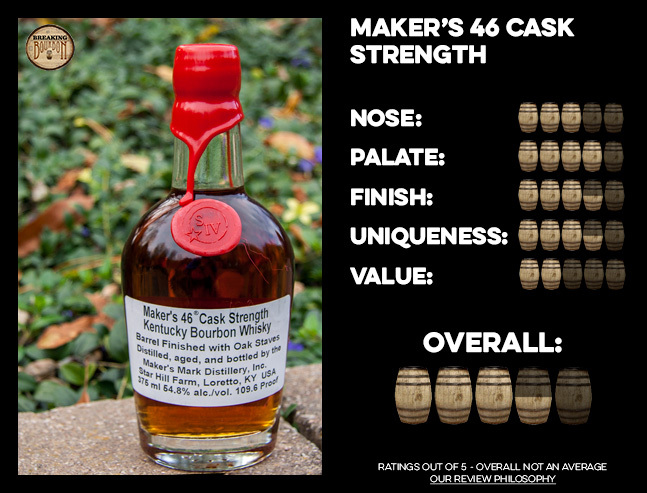 With the exception of the nose, compared to the standard Maker’s 46, Maker’s 46 Cask Strength offers a fuller, richer drinking experience. After trying Maker’s 46 Cask Strength, I’m left to wonder why they didn’t come out with this version in the first place. 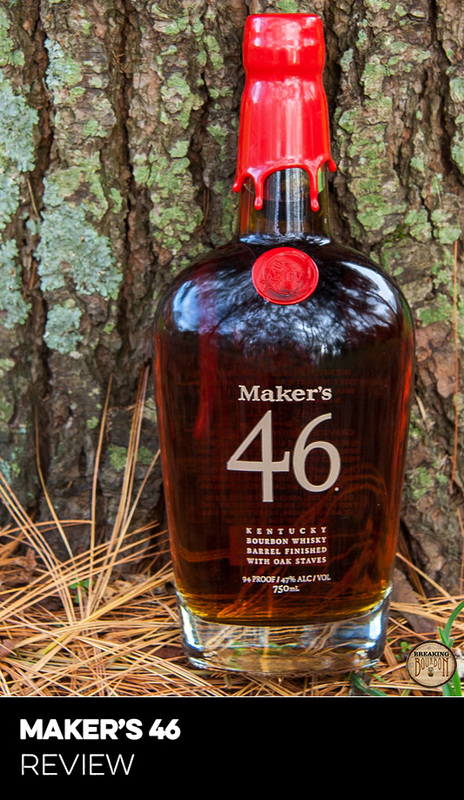 The flavors are richer and deeper in nature, and you’re getting to try Maker’s 46 at its fullest potential. The proof is high enough to allow the flavors to pop without being so overpowering to those who may not love high proof bourbons. 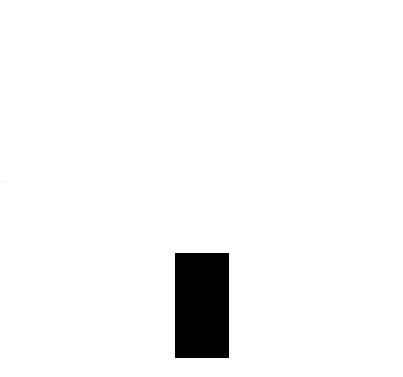 A side note about adding water. After adding a few drops, the end result wasn’t spectacular. A lot of the flavors that make this bourbon so unique were muted and I wasn’t very impressed. If you prefer your bourbon lower proof, stick to the standard Maker’s 46, as Maker’s 46 Cask Strength tastes best left un-muddled from water.